With a virtual office in Serbia, your business in this country will have a prestigious office with low costs compared to a traditional office. If you want to set up a company in Serbia and to avoid paying rent or buying a building, a virtual office is an excellent choice. Detailed information about the procedure of obtaining a virtual office can be provided to you by our experts in company formation in Serbia. We are at your disposal with complete information and assistance for opening companies in Serbia, at any time. • low maintenance costs and flexibility – virtual offices in Serbia can be obtained electronically and don't need capital investments. No human resources costs are attached to a virtual office in Serbia. If you want to start a business in Serbia and need an office address, our specialists in company registration in Serbia can provide you with a personalized offer of a virtual office. • extra usage of the meeting room for future business meetings. Why do I need a virtual office in Serbia? Instead of dealing with big costs involved in a traditional office in Serbia, it is best to start with virtual office services that are at a fraction of expenses. More than that, the virtual office packages can provide you with a respected business address in Belgrade, the capital of Serbia, or in any important city. Why should I buy a virtual office package in Serbia? Virtual office packages address mostly to young entrepreneurs at the beginning of their business career, who have a certain budget. More than that, virtual office services are suggested if the business persons do not intend to place the activities on the market, but instead, they want to analyze the market and verify the opportunities in this direction. When can I receive virtual office services in Serbia? In less than 24 hours, foreign entrepreneurs can benefit from the services of a virtual office in Serbia. Let our company formation representatives in Serbia offer you in-depth information about the virtual office services in Serbia and the benefits linked to them. Who can buy virtual office packages in Serbia? Any local and foreign entrepreneur who want to check the business market before establishing a company in Serbia can choose virtual office packages. 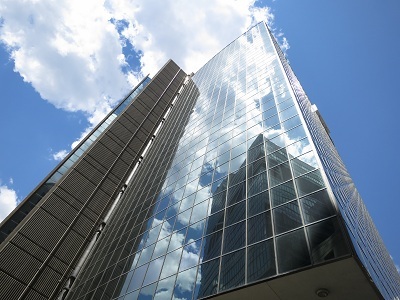 Instead of opening a traditional office, many investors decide on buying virtual office packages and make an idea about the business sectors in which they can develop varied activities. Small business and young investors are recommended to choose virtual office services instead of establishing a company office. A virtual office package is often the proper solution for many entrepreneurs from abroad interested in testing and discovering the market and its potential collaborators and clients. In this sense, we can also help you with the collection of bank statements in Belgrade and direct them in agreement with your requests. Dedicated fax services and call forwarding are provided with the help of top technology, as part of a virtual office package. Feel free to get in touch with our team of company formation specialists in Serbia and solicit in-depth information about how you can set up a company or about the virtual office services you can purchase in Serbia. A traditional office means having varied costs starting with the rental expenses and ending with utility bills and office supplies. If you would like to reduce the costs, at least until you decide on a normal business office in Serbia, we recommend you ask for virtual office services. These are at a fraction of costs for a traditional office and are at the disposal of entrepreneurs at any time. When talking about virtual office services in Serbia, it is best to bear in mind that you can purchase a series of facilities and gain lots of benefits. A virtual assistant will take care of the daily activities and more than that, you can decide on specific operations and requests to fit better your business needs in Serbia. With the help of a virtual office package, you can easily direct your investments or money in other matters instead of acquiring a business office, equipment or hire staff. This way, you can preserve your costs at minimum levels and concentrate more on your business activities. 1. Do I receive a business address in Belgrade? Yes, a virtual office package comes with a prestigious business address and a registered office in Belgrade or in any large city you are interested. Your business will be immediately associated with a notable domiciliation before anything else. 2. Will I have a local phone number? Yes, a local phone number will be allocated to your business in Serbia. More than that, you can receive a private phone number if you are interested in such a service. 3. Do I receive a virtual assistant? Yes, all virtual office services provide a virtual assistant who will take care of the daily operations related to your business. Mail collection, phone, and fax forwarding, and voice mailbox are part of a virtual office package. Let our team of consultants tell you more about the content of a virtual office package you can purchase in Serbia. 4. Who can buy virtual office packages in Serbia? Both local and domestic entrepreneurs who are not interested in opening a traditional office can easily acquire virtual office services and develop their operations without complications. There is no bureaucracy involved and there is no need to wait for other formalities; you can receive a virtual office package as soon as you paid for it. A virtual office package is suitable for small investors or companies. 5. What is the main advantage of a virtual office package? The main benefit of a virtual office package is definitely the cost which is reduced compared to the expenses of a traditional office. Instead of paying utility bills, technical equipment, computers, rents or salaries for employees, especially if you are for the first time as a businessman in Serbia, it is best to ask for information about the virtual office packages you can buy in Serbia. The concept of a virtual office package started before the industrial revolution took place in the mid-20th century with the natural need of cutting costs and direct the business in an efficient and productive manner. 1962 is the year in which the concept of virtual office was officially used. 30 years later, Richard Nissen registered the term “virtual office” with the Intellectual Property Office in Great Britain. A series of improvements were then developed for complete virtual office packages which can be easily accessed and purchased in Serbia. Don't hesitate to contact us if you need professional assistance in setting up a virtual office in Serbia.